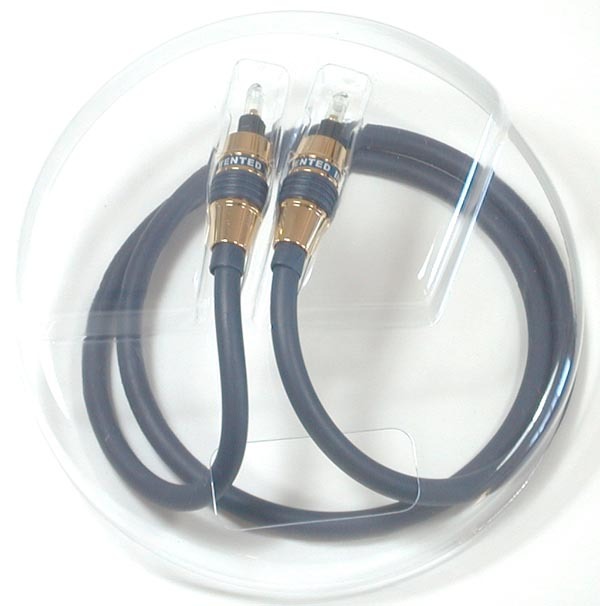 This is a brand new 3 feet Professional grade Toslink to Toslink optical cable. This high quality optical cable allows you to enjoy theater like digital audio and video effect with minimum transmission loss. Please click the following web-link for detail specification: PRO-Gold-Spec (168KB). Similar products are being sold at some retail stores for over $50. Send perfect digital sound directly into your Receiver. Great for DVD's, CD's MiniDiscs, DACs and other Dolby Digital and DTS applications. "The Xbox does not come standard with a digital audio output. You will need to buy either Microsoft's Advanced AV Pack or High Definition AV Pack, both of which have digital audio outputs. Next, you must adjust the audio settings in the Xbox dashboard so that Dolby Digital is enabled. For your Xbox to be connected properly, you will need at least one free optical digital input on your receiver. Use an optical digital audio cable to connect the digital audio output from your Xbox to the optical digital input on your receiver. Don't bother connecting the two-channel analog outputs from your Xbox: you'll always want to hear the digital audio, not the analog." - Dolby's Guide to the Microsoft Xbox. "For your PlayStation 2 to be connected properly, you will need at least one free optical digital input on your receiver. 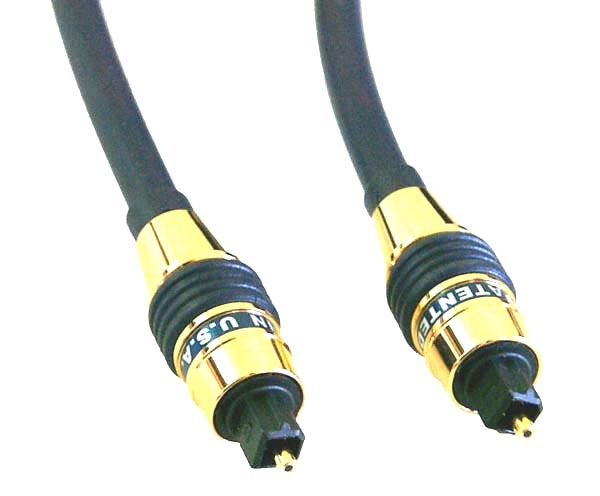 Use an optical digital audio cable to connect the digital audio output from your PS2 to the optical digital input on your receiver. Don't bother connecting the two-channel analog outputs from your PlayStation 2; you'll be able to get pure digital audio from your PlayStation 2 through the optical digital output." - Dolby's Guide to the Sony PlayStation 2. Spring-loaded shell ensures tight and easy connection every time. Product origin: Patented in USA; Made in China.